I have some fun new vintage cards and children's books to share with you today. These are all new arrivals at: Birdhouse Books on eBay. 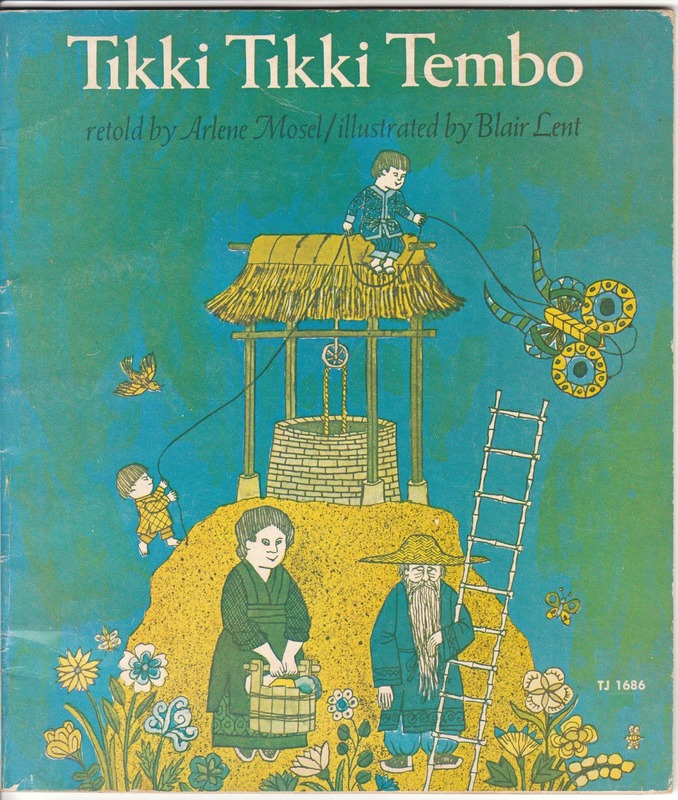 Tikki Tikki Tembo is a 1966 vintage Scholastic paperback by Arlene Mosel. North Country Night is a lovely animal picture book for children. The author is Daniel San Souci. Something different for me! This is a cute unused Halloween rubber stamp. 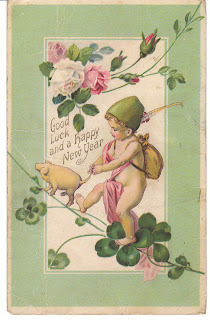 This vintage New Year postcard features a young child with a pig and shamrocks. This pretty 1909 vintage New Year postcard features colorful birds against a gold background. 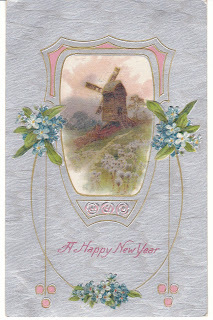 This lovely New Year postcard features a windmill against a silver background. 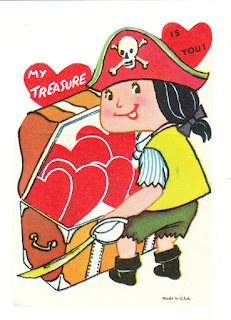 "My treasure is you!" This is a cute unused pirate theme vintage Valentine. 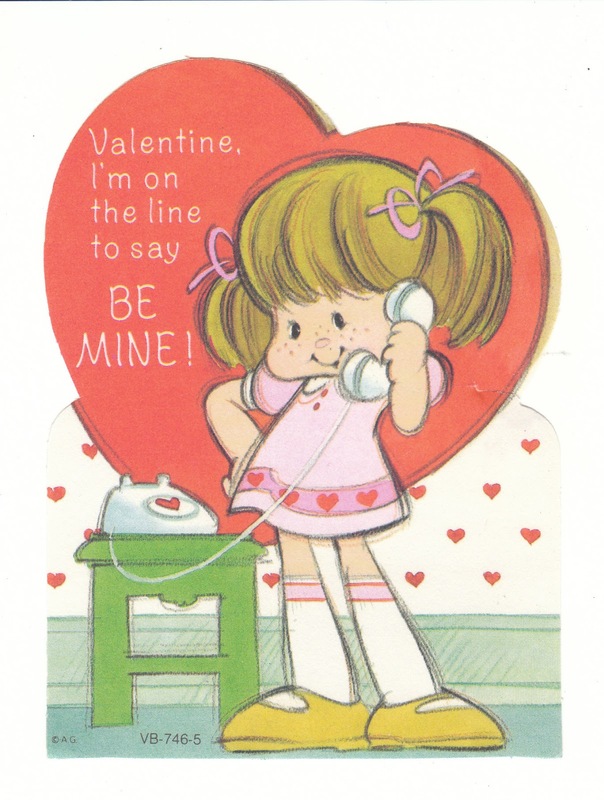 A little girl talks on an old fashioned landline telephone on this vintage Valentine. I would date this one as 1970's. This cute unused vintage Valentine features a baby elephant in a pink cap. 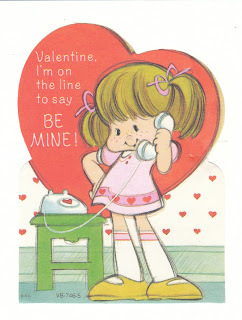 "Remember to be my Valentine. 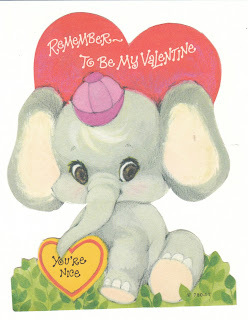 You're nice!" Boomer's Big Surprise is a sweet picture book by Constance W. McGeorge. It tells the story of a Golden Retriever who suddenly gets a new puppy in his family. 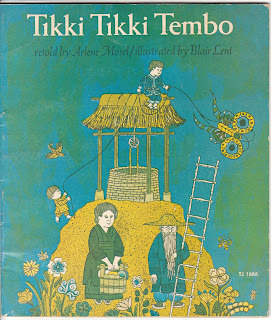 The Snow Lambs is a lovely picture book by Debi Gliori. It is a story about winter, lambs, and a beloved Border Collie. In the Snow: Who's Been Here? is a picture book about two children and a Golden Retriever who wander through the snow looking for animal tracks. 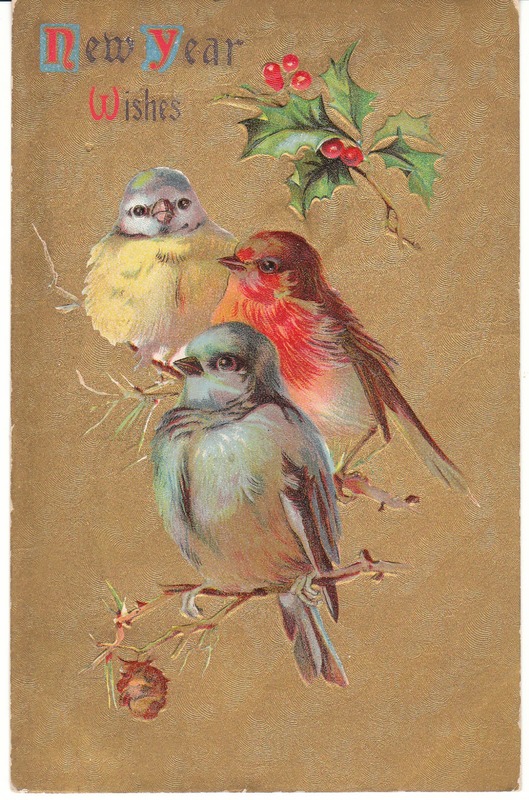 It has beautiful nature illustrations! I enjoyed sharing some new arrivals with you, and will be back to visit against next Saturday. Have a great weekend!